One Owner. Dealer maintained and serviced. Fully inspected. Remaining warranty through Lexus. 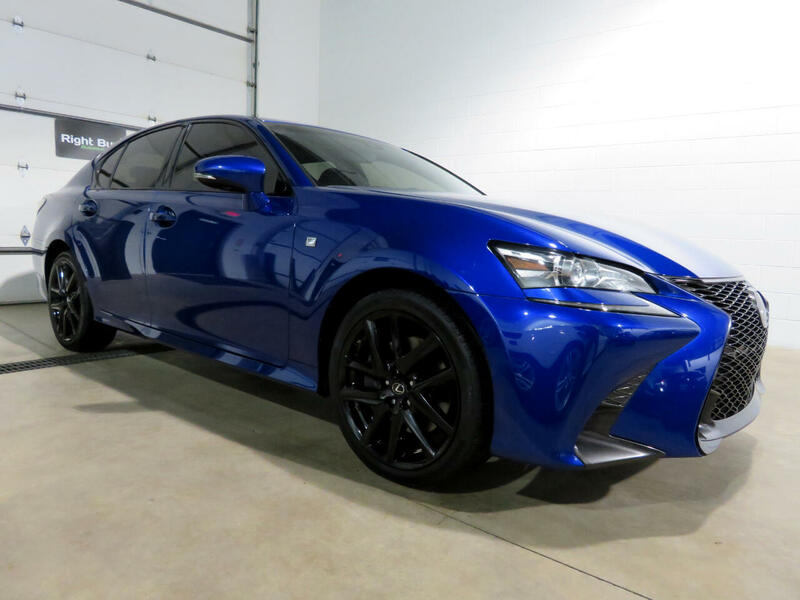 This Lexus GS 350 features the F Sport Package and Safety System Plus Package. Some of the features included are a 3.5L V6 engine (311HP) mated to a 6 speed automatic transmission; driver and passenger power heated and ventilated front sport seats w/memory; power tilt and telescoping steering column; dual zone front automatic climate control; Lexus display audio w/12.3 inch VGA screen; Mark Levinson premium surround sound audio system; LFA inspired instrumentation; Lexus enform app suite; HD radio; F Sport badging; aluminum sport pedals; drive mode select; LED headlamps; LED daytime running lamps; 19" F Sport split five spoke alloy wheels; F sport tuned adaptive variable suspension; Bluetooth; rear backup camera w/ cross traffic alert; lane departure alert system w/steering assist; pedestrian protection; dynamic radar cruise control; pre-collision system; intelligent high beam; day/night auto dimming rear view mirror; proximity key for doors and push button start; variable intermittent rain sensing wipers; rear lip spoiler; sunroof; all wheel drive and much more. Every vehicle at Right Buy comes with a full inspection report, CarFax vehicle history report, affordable extended warranty options and low rate financing options. Set an appointment to view the vehicle in our heated indoor show room. 4 YEAR 75K MILE BUMPER TO BUMPER EXTENDED WARRANTY AVAILABLE FOR $1,390 or 8 YEAR 120K MILES FOR $1,790.